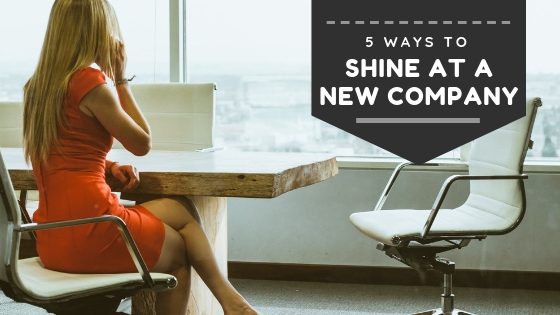 The first few days in a new job can seem stressful for a new employee, but it’s important to begin making a good impression at your new company as soon as possible. A great way to get over any nervousness for your new job is to push forward and begin doing as well as you can and learning right away. If you want to excel at your new company, follow these tips that are recommended by human resource experts. Make sure to arrive early for your first day at work to make a good impression. This punctuality is especially important when you need to complete additional paperwork or start training before beginning a job. Leave home in plenty of time to cope with traffic problems or other issues while traveling to work. This habit is one that you should then keep up throughout your time working; being on time shows you care about your job and the work you do. The first day on a new job is strenuous, so make sure to eat a nutritious breakfast and also make sure you stay hydrated throughout the day. Starting the day with a healthy breakfast helps you stay focused and can make you more productive. It is essential to understand the dress code for a new job so that you do not violate the rules or make a bad impression on the first day. Understand if there is any specific uniform you need to wear or if there are certain regulations for what to wear. It’s best to err on the safe side, even if you think it’s a casual office, and dress business casual. Then, you can adjust what you wear as you see how other people dress on a regular basis. Understanding how to clock in for the first day at work ensures that you’re paid properly. You may also need to clock in and out as you take lunch or other breaks. In some cases, this process requires using a nearby computer station or another machine to verify the work hours for a paycheck each week. If you’re salaried, make sure you know what times you’re expected to be in the office, when and how long you can take breaks, and how to handle time off. Bring along a notebook to write information down that is needed in the future. It is also important to listen carefully or to ask questions if there’s something you don’t understand. When asking for information, choose the correct person to talk to such as a manager who is charge rather than talking to coworkers.